Schlee was buried on Friday in the city of Pelotas, in southern Brazil. Aldyr ​Schlee, the man who designed Brazil's iconic football kit, has died aged 83. The family of Brazilian journalist Schlee announced he died on Thursday after a six-year battle against skin cancer. The yellow shirt and blue shorts of Brazil were created by Schlee for a contest organised by newspaper Correio da Manha in 1953. Schlee won the contest and received about $5,000 (£3898) in prize money. Brazil played the 1954 World Cup in Switzerland and reached the quarter-finals wearing the colours designed by Schlee, and have kept them ever since. 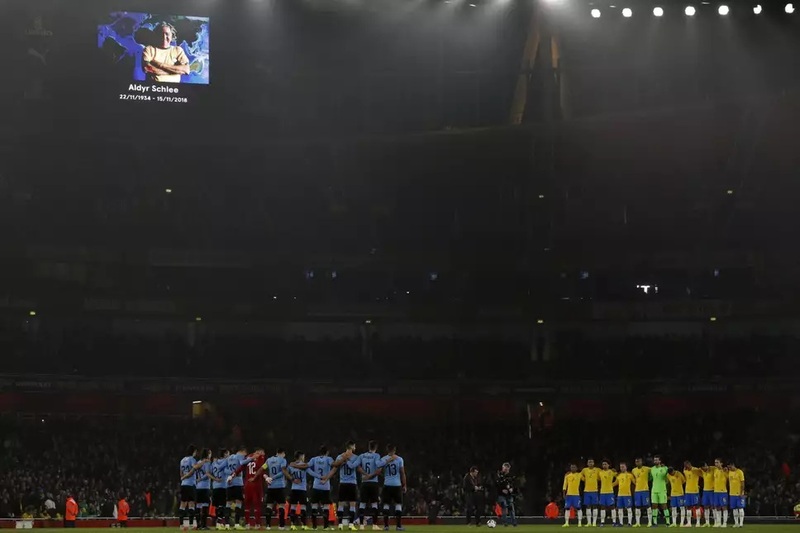 The intention of Brazilian football executives at the time was to expunge the memory of losing the 1950 World Cup final at home to Uruguay, so replaced the a strip of white shirts and blue shorts.